Yes, we do doggie daycare! Drop off your pup anytime between the hours of 8:30 and 11:00 am and pick up between 4:30 and 6:30 pm for some puppy play fun! 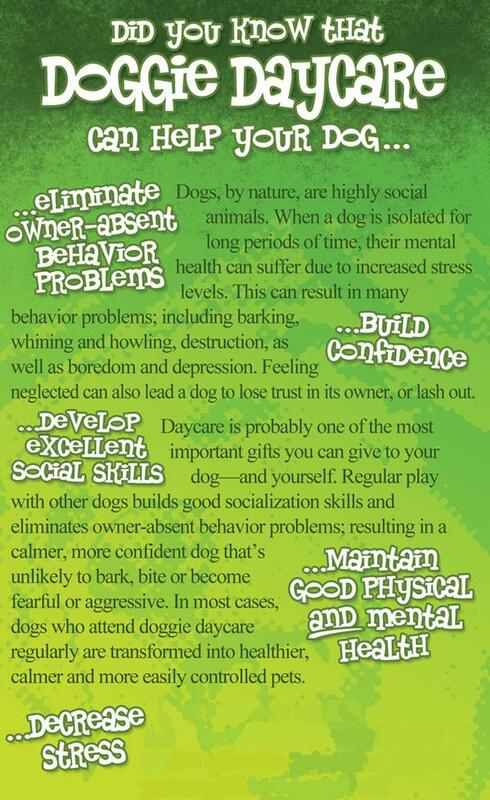 Daycare at the pet lodge is different – but may be much more fun and a lot less stressful for your dog. Each dog has their own enclosure and are let out to play during increments throughout the day. In their enclosure they can have their own beds, bowls, bones and toys, and at the end of each play session, go back to their comfy enclosure for rest and some water, and a break from the other dogs, until the next play session is up. $25 per dog, $15 for each additional +tax.